Lots of useful information on your welfare rights. 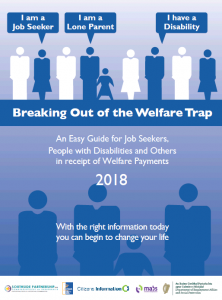 You can download “Breaking Out the Welfare Trap” booklet here. Would you like to know how to write a successful CV and cover letter? Would you like to gain more confidence and skills to find your perfect job? Please see more details about our Job Clubs here. 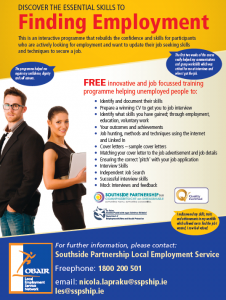 Soulthside Partnership Local Employment Service offers FREE support. Please see more details on our leaflet here. 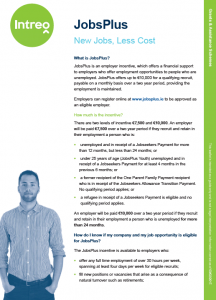 Did you know that as an employer you may qualify for a grant of up to €10,000 for employing someone from the live register? Please find out more details here. 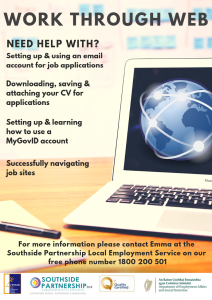 If you need help with online job applications we can help you. 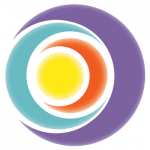 Please see more details about our “Work Through Web” 1-2-1 training here. 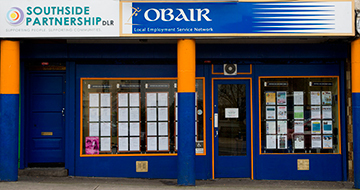 Register to receive our weekly job vacancy list detailing open positions from local employers. 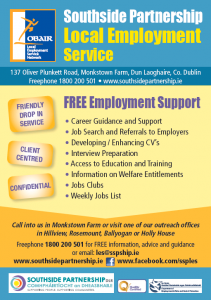 Local Employment Services is here to help you in all aspects of of your career.